There is a lot of terminology out there in the wedding industry for the various roles and services couples can choose from. It can be really difficult for Brides and Grooms (and their families) to understand who does what, and to know what the best option for them might be. In this blog post, I'm looking at wedding planning ... or coordination, or whatever term you use for this role/position/job. How do we define these roles? Here at The Graceful Host, I really consider myself to be a Creative Director. However, since this isn't a very common term in this particular industry (at least not yet), using it exclusively might confuse couples - and I honestly only want to make things easier for others to understand what it is that I do. So, I refer myself a "Wedding Planner + Designer" for ease. A wedding planner is a person who focus' on the planning and logistics. They are responsible for managing all vendors, communication is streamlined. provide structure to wedding planning, and ensure all logistics are executed to perfection. A wedding designer is a person who creates the overall design and vision. They conceptualize the design and communicate that with all the vendors. The designer relies on the vendors to execute the look, given his or her direction. A creative director shares a very similar role with a wedding designer, but takes it one step further. Not only will the creative director conceptualize the design of the event and communicate those plans to the vendors, but they'll also direct the vendors through the creation of the design. This means working very closely with the vendor team to make sure all pieces of the puzzle are carefully planned and coordinated so that the event design is executed as it was conceptualized. What about the other roles? Let me start out by saying that this one drives me nuts because there are way too many terms for this role. A wedding coordinator is the same thing as a day-of coordinator, or a day-of planner, or event management, or month-of coordination, or month-of planning. This person is focused on the coordination of the wedding or event planned. They typically step in around the 3-month mark to begin the transition and take over from there. This is why the term "event management" has come about in recent years. There is no such thing as a planner who can successfully handle just the "day-of" or the "month-of". And if someone does promote services that begin with just under a month before the wedding day ... run. They don't know what they're doing! The bride would have been responsible for all planning and booking of vendors up until the event manager steps in. This person will spend a lot of hours combing through your notes, communicating with your vendor team, and making sure your event day is set-up for success. As you can see, their jobs begin well before the wedding day. It might be confusing to couples why some people call themselves an event planner vs a wedding planner. But it's really an easy explanation - events implies that the person handles more than just weddings. Events include things like birthday parties, showers, rehearsal dinners ... gatherings of any kind. While most wedding planners offer additional services like rehearsal dinner planning, welcome party gatherings, bridal showers, etc., they might only offer them to their existing wedding clientele vs. it being a standalone service, like an event planner would. This one also deserves some in-depth explanation because it can cause confusion for couples when they are considering hiring vendors. A venue coordinator (or any individual that works for a venue and serves as your point of contact for the venue) is not the same as any of the roles above. They do not preform the same duties as a wedding planner, or a wedding designer, or a wedding coordinator. This person is simply the events manager at the venue you've chosen to host your wedding or event. Their responsibility pertains to all things related to your venue - not the entire wedding. Which means, your venue coordinator will not help you find your photographer (they might have a vendor referral list, but that list is not curated to reflect your style needs, budget, event goals, etc. That list is a recommendation of wedding professionals that the venue enjoys working with). They will not help you create a wedding day timeline, or deal with the logistics of your wedding day. They will not communicate with your vendor team on your behalf. They will not help you book vendors, or read through contracts making sure everything you need/are expecting is accounted for. They will not go with you to your floral meeting. They will not help you with the design of your wedding. Now, they might help you plan a menu - if the caterer is considered in-house for that venue. An example of this is with hotels and country club venues that do not permit outside catering. The reason you receive assistance is because catering is part of the venue. Another example: a venue coordinator might offer linen samples to choose from and/or chair choices that come with your rental package. This is not the same as what a wedding designer does or assisting with creating a wedding design plan. They are simply showing you what is available through their rental partner(s) because certain amenities (might) come with your rental package. Wedding planners are responsible for every facet of your planning process, with special attention to logistics. Planners are focused on the wholistic view of the planning process and the actual wedding day. Wedding designers are responsible for bringing your vision to life, and like planners, look at the bigger picture rather than one piece of the puzzle. 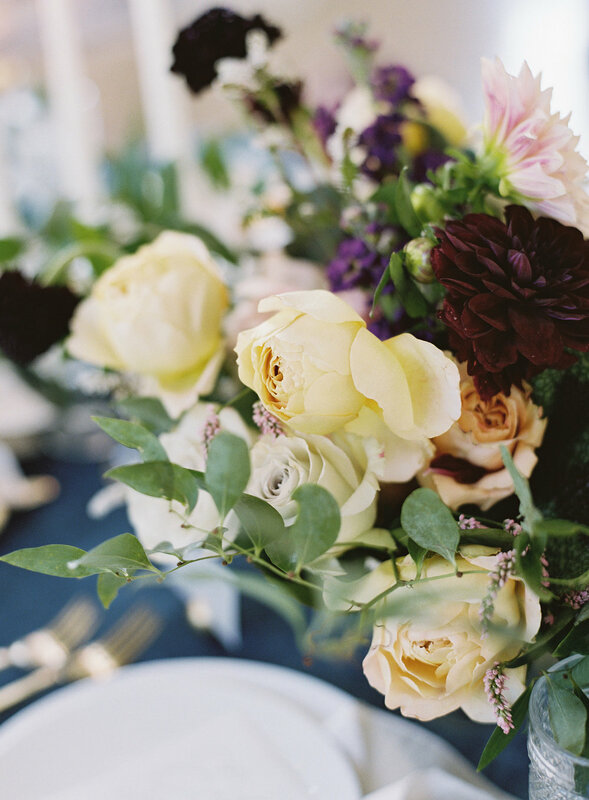 A wedding stylist focuses on the styling of your event. They likely are not involved in the planning and concept creation of your event. But on the day-of your wedding or event they are there to make sure each detail planned looks as it should - from fashion to tablescapes to paper details. 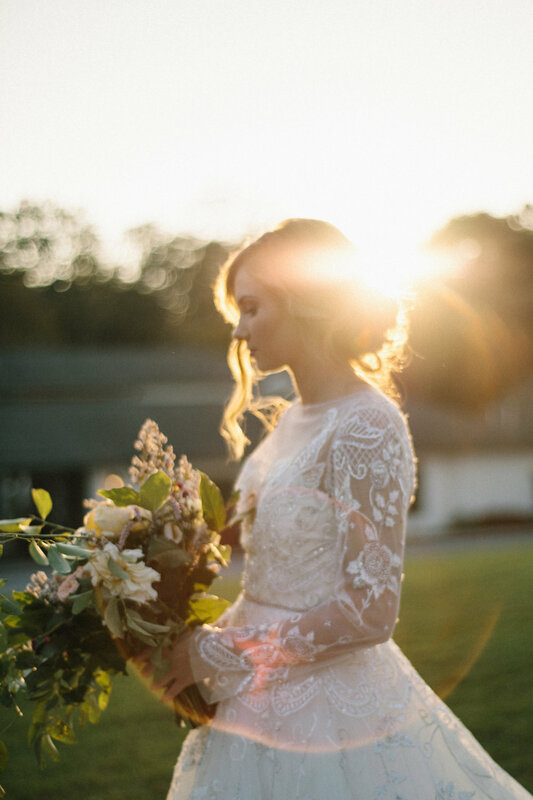 The role of a stylist overlaps with many other roles listed here, such as wedding designer and creative director, who also (usually) take on the role of stylist, ensuring their concept is executed to perfection. Where should a couple begin? You might be wondering how to know what the best choice is for you when it comes to hiring a planner (or designer, or coordinator!). A lot of couples begin the wedding planning process unsure of how much support and guidance they'll need. It's normal! So if you can relate to that - don't worry. It's not like planning for a complex event, like a wedding, is something you do every day. Some start out thinking Event Management will be sufficient, but they find out that they really need more help ensuring everything is crossed of their list - so a wedding planner would be a much better fit for their needs. Others might find out that they need more assistance creating a design plan and someone to help them better execute their vision because it's become too overwhelming of a task for them to do it alone - so hiring someone who is also a wedding designer is important in this case. In many cases wedding planners offer design services to their clients. But you'll find that some are more focused on design than others. For example, The Graceful Host is focused on wedding design. 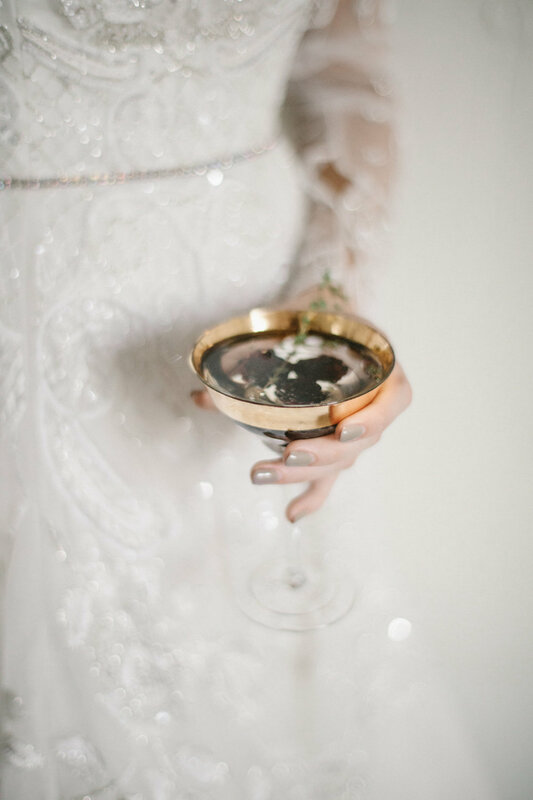 The planning and logistics side is to things are still very, very important - but my brides seek out my services because of the design expertise that I offer. If design isn't that important to you, then you might not be a good fit for The Graceful Host. And that's okay! It just means that you'd be a perfect fit for another planner who's focus is more on the logistics side. Before you dive into wedding planning of any kind, take some time to figure out what you truly need and why you might want to hire someone to help you, in whatever capacity. And be honest with yourself. Planning a wedding, even a small wedding (50-75 guests), can take a lot of time and energy! Then search for the right fit making sure you are working with someone who can provide a solution for your needs and problems, who will be a good personality fit for you to work with, and someone who you can trust. (That last one is a biggie!) You'll find that experience levels will differ, and services will differ from company to company - pay attention to that and to the language they use when describing their services. A company that has been in business for 6 years cannot easily be compared to a company who's been in business for 2 years. You'll see that difference in experience reflected in their service offerings and fees, as well as in how they operate. At the end of the day, planning a wedding takes a village. It's team work, y'all! A whole lot of coordinated team work. Each vendor needs to work closely together in order for the magic to happen. And our clients might not see everything we're doing behind the scenes - why should they, though? We need to listen to each other, respect each others needs and set each other up for success. We have to keep our clients wishes in mind and do what is in their best interest, as well as guide them in our area of expertise as the professional. Each and every vendor serves a purpose and fills a piece of the puzzle when it comes to a wedding or event. We all rely on each other when it comes to serving our clients well and providing an amazing final product. So, let's give credit where it's due (I'm looking at you social media and blogging!) and support each others craft. Have anything to add to this conversation? I'd love to hear from you! Let me know your thoughts. Throwing a killer party requires a lot of careful planning. There's a lot of pressure on the host(ess) to throw a great party for their invited guests! You need to think about the atmosphere you're creating, a food and beverage menu that will leave your guests satisfied, and the overall flow of the party. Sounds like a lot of layers, right?? Well, that's because it is! Let's talk about the three biggest mistakes a host can make - so that you can avoid them. #1 Not factoring in guest count during the planning process. The first thing a host need to do is figure out the guest list. You cannot begin to plan for a party without knowing how many people you expect to walk through the door! Are you inviting more people than your venue, or home, can accommodate? Will your anticipated headcount bring you over your desired budget? Knowing your guest count before you begin planning anything will help you tremendously and cut down on the stress that party planning can potentially bring. #2 Not accepting outside help. Planning a party, regardless of the size, requires organization and can be a bit of a juggling act for even an experienced host. Don't be a hero, y'all. Allow outside help! Let your significant other, friend, or family members to pitch in - it can be a big help to have an extra set of hands! And consider outsourcing for things like catering and/or rental needs. It will save you time and allow you to enjoy your party. Plus, the professionals do this on a daily basis and have the equipment you need to properly execute a party, and can make recommendations so that your party is a big success. #3 Not thinking about the flow. Ever notice how everyone always seems to end up in the kitchen at parties? Thats because guests tend to gather around the food and drinks! When setting up seating areas, as well as food and drink areas, think of how your guests might naturally move through the party space - and where you want them to gather. Make sure your guests have a clear path to the goodies! (That would be the food and beverages.) Move furniture, if needed, so that guests move more freely throughout the party. And if you don't want guest to gather in one room, then spread the food and drink out. Extra Tip: I like incorporating appetizers and small bites within the seating areas to keep guests satisfied and conversations flowing. Let’s hear it: What do you think of this list? Any other big party faux pas’ we didn’t mention?! Cheers to throwing a great party! Why do kids have to keep growing up?! I feel like we were just celebrating our baby boy turning one, and now I blink and he's TWO! After Ryan's first birthday fiesta, I swore I'd take it easy on the next birthday party. But once I decided on the theme of "Party Animals", I just couldn't hold back - there were too many cute ideas floating around! Let's face it, there will eventually come a day when Ryan doesn't want a birthday party (cue tears! ), or he'll want to do something less adorable than what I have in mind. So I'm making the most of it for now! Plus, the party planner in me just can't help it. I went with "Party Animals" because Ryan really loves animals, especially cats ... or kitty kittys as he calls them. (I think it's the thrill of the chase that he's attracted to, really!) Once that theme clicked, the ideas started rolling in. Tiny animals wearing party hats, a big colorful balloon garland, tails on chairs, a primary color palette, tambourine favors - the possibilities for decor were endless. A lot of love went into this party. The two major (and easy!) DIY projects were the tiny party hats for the mini animals and the colorful balloon garland decor. Tedious projects, but honestly they really only took a few hours each, and the end result was well worth it! 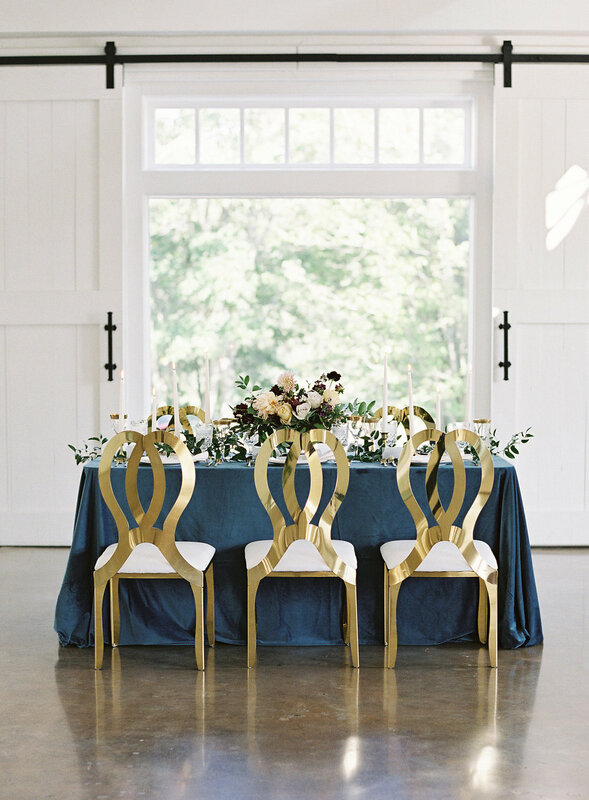 General party tips to parents: I'm a big believer in renting certain items to make life easier on the host(ess), like linens, tables and chairs. I personally don't want to have to invest in purchasing those things and then storing them. I also recommend outsourcing catering. It is 100% worth it! We went with BBQ, at my husbands request - and I love it because it was easy for guests to eat, crowd pleasing and it's filling. And yes, even a kids birthday party needs a signature drink! It's perfectly acceptable to serve alcohol at a kids birthday party. You want to cater to your guests - adult and children, alike! 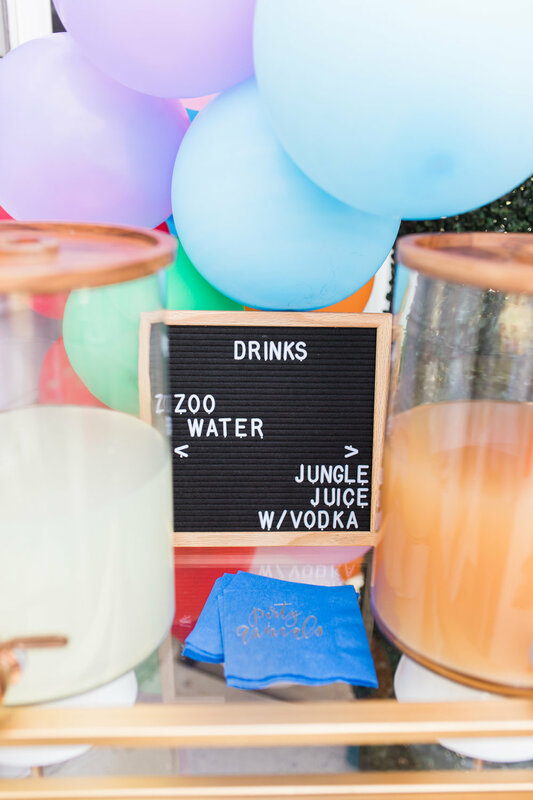 Our two signature drinks were Zoo Water (a non-alcoholic option) and Jungle Juice (an alcoholic option). This was such a fun party to design, and I'm really excited to share it with you! You can recreate this party, too, using the Party Animals party kit in the shop! No one wants to talk about the potential for rain on your wedding day. You're planning for the perfect day, right?? So obviously rain shouldn't be part of that equation. But the truth is, Mother Nature could care less and she just does her own thing! So you need to be prepared, should an uninvited guest - I'm lookin' at you rain! - decides to show up. Let's say you're a brave bride with nerves of steel, and the possibility for rain on your wedding day is a risk you're willing to take. For some couples, the potential of maybe having to go with plan B is well worth the reward of a beautiful outdoor celebration. Truth be told, outdoor ceremonies and receptions are my favorite! When you're looking at venues that offer outdoor space, you should also consider that venues ability to support a rain plan. Is there an indoor space you could use, just in case? If not, then is putting up a tent over your plan A ideas possible, and do they allow tenting on their grounds? And you'll want to put a tent on hold through a rental company if using a tent is plan B. 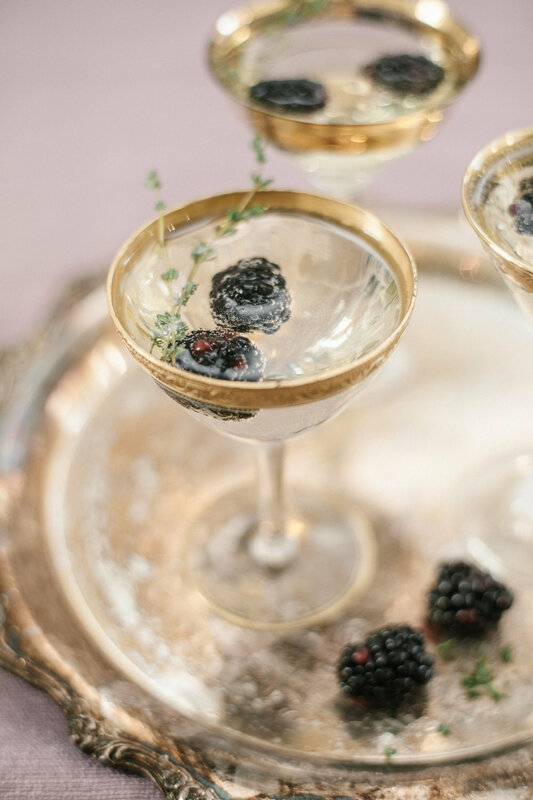 As you're developing plan A, it's really important to also talk about your plan B if you're planning a celebration with outdoors events, such as a ceremony, cocktail hour, and/or reception. How are you going to pull all 150 guests indoors? How will rain affect the flow of events? These are all important things that you'll want to think through as you're planning for your outdoor wedding. But maybe you're the type of person who can't handle the stress of an outdoor wedding, so you are planning a wedding with indoor venues (i.e. a church, ballroom, museum space, etc.). There's nothing wrong with that! In fact, I fell into this category when I was getting married almost 6 years ago. It's stressful dealing with the unknown, and I knew I didn't want to handle having to switch to a plan B, when my heart was set on plan A! I hate to burst your bubble, though, because you're not out of the woods - you still have to think about unfavorable weather, even if your wedding is going to be held indoors. You'll want to think through how your guests are getting to the ceremony and reception, should the weather become a factor. Do you need to provide transportation from the hotels, now that rain is in the forecast and guests can no longer easily walk to the venue? (This scenario is a common occurrence for weddings here in Uptown Charlotte!) Where will portraits take place with your photographer? Do you have umbrellas available? All very important things to think through to ensure a smooth wedding day and a great experience for both your family and guests. While we always want to be prepared, we never want to obsess. Please don't obsess over the potential for rain or let an unfavorable forecast ruin your planning experience! Ultimately you cannot control the weather, but you can control how you react to it. So make plan A and make plan B, but don't focus all your attention on the "what if". I think it's good to be ready, but I don't really starting discussing plan B with my couples until we have a forecast to consider. All of these questions and scenarios are all examples of things you should discuss with your vendor team. Let the professionals guide you to make the best decision for your wedding! It's their job, after all - so lean on them and their expertise. I'd like to add that in my 6 years of experience in wedding planning, I've only ever had to pull a ceremony indoors that was originally planned to be outdoors once. That's right - once! Sure it's rained on more than one occasion forcing a change in portrait location or a timeline delay, but we were still able to move forward as originally planned! For one of our weddings, the rain started just as the ceremony was about to begin. We knew there was potential for rain that day and we were closely monitoring the radar all day. The bride had her heart set on getting married outdoors, and we wanted to make that dream come true! So we went on a rain delay, and set-up our string quartet indoors and also started serving champagne to guests who were gathered indoors for a mini cocktail hour. As soon as there was a break in the clouds, we were able to quickly wipe down all the chairs so that the ceremony could still be held outdoors. We escorted guests to the garden and started just 15 minutes late. And everything was perfect - it was like the rain never happened! Rain on your wedding day isn't the end of the world. Trust me, I want my clients weddings to match the picture in their head, too! So while I know it's not ideal, a little rain won't stop you from saying "I do" - and that is what truly matters! 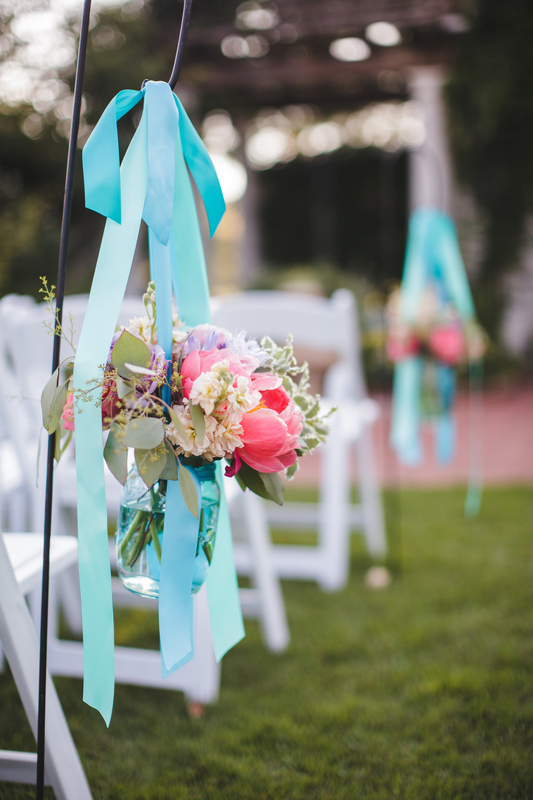 Incorporating color into a wedding design can be a challenge. Incorporating bold colors into a wedding design can feel impossible. But it IS possible! It's no secret - I love using color. You might wonder why I prefer color over neutrals. And it's not that I don't love neutral colors, or a good monochromatic palette ... I because do! There is so much beauty within a neutral palette. But designing with color keeps me on my toes. It's different! And it's not often seen in weddings, where blush and ivory and gold/champagne tend to dominate. In September, I had the chance to collaborate with photographer Allison Kuhn to design + produce a styled shoot that was all about BOLD. 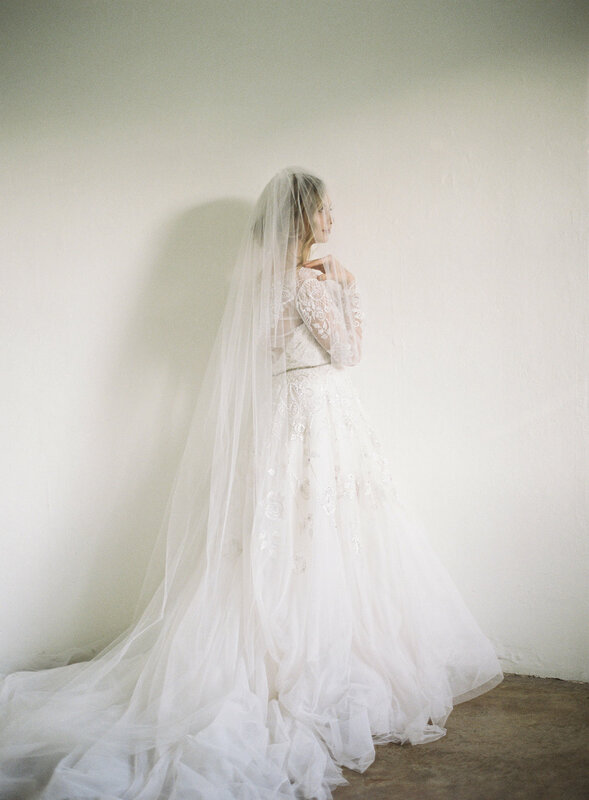 When designing this shoot, I wanted to create something that I don't often see - it was about pushing the envelope in a way that was achievable for the modern bride. Ideas like "modern meets old world charm" and "classic style meets high end fashion" were phrases that came to mind. I was inspired by this teal blue, and from there I wanted to layer color and textures to create something that was a bit more daring and adventurous. And I absolutely love how the other colors pop against this bold blue! 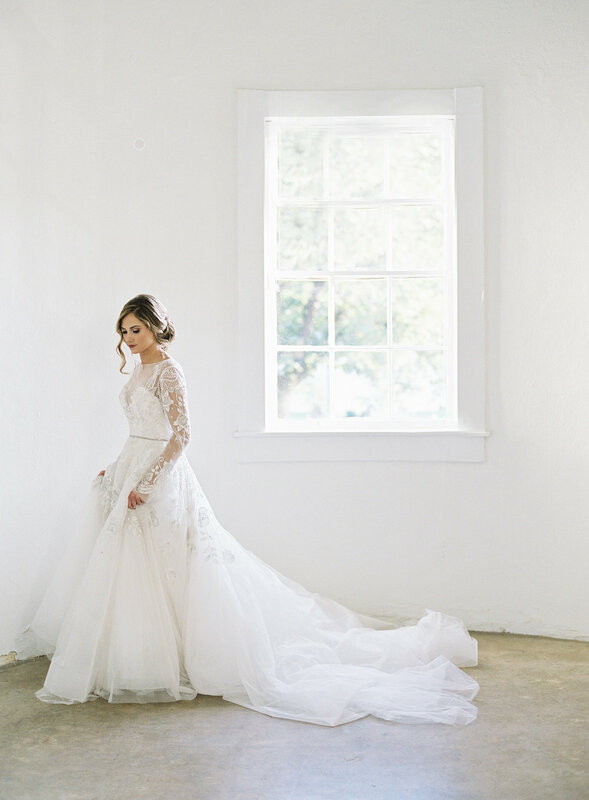 I'm so honored to see this shoot featured on Style Me Pretty today! Huge thanks to our creative team! So grateful to work with such a talented bunch of creatives for this shoot! Who's ready for holiday parties?! You can't tell, but my hand is currently raised. It's no surprise, I'm sure, but I love parties. Like, you know how Buddy the Elf loves Christmas? Well, that's how I feel about parties! Since having Ryan (now a year and a half old ... holy moly, how did that happen?! ), we don't get out much. Sad, but true ... #momlife. But it doesn't mean my love for parties has dimmed even slightly. One night I was thinking of ways to fancy up my Friday couch session, and thought - hey, wouldn't a fun cocktail make this laid back night feel more exciting?? And that's how this Cran-Raspberry Vodka Fizz was born. I'm no mixologist, though. This is inspired by a drink created by One Sweet Mess, because I prefer vodka over gin. Now it's time to make the drinks! Take your shaker and add in the vodka, cointreau or triple sec, and rosemary sprig. Give the rosemary a little shake prior to adding it to the shaker to bruise it a bit, or you can muddle the sprig just a little to release some fragrance. Add in some ice, the cran-raspberry spritzer, and a few squeezes of orange. Give it all a really good shake. Pour the contents of the shaker into the glass ornaments. Add in a fresh sprig of rosemary for garnish and a straw, so it's easy to drink. You can even pop in a few cranberries for extra garnish. The tart of the cranberry mixed with the sweet of the orange makes this drink extra delightful, and really refreshing! Cheers, y'all! And happy shaking! Registering is one of the highlights of wedding planning. You get to go to store you love, and dream about all the fun new things your loved ones will gift you to fill your home, as you begin a new life together as husband and wife. Sounds dreamy, right? It also sounds really daunting. Sure, you're an adult now. And you probably know your way around a kitchen - or at least how to find the kitchen. But what do you really need? How many stores do you need to register for? Is there anything off limits when it comes to registering? We're sharing 7 tips on how to create your wedding registry that will answer these questions, and more! You won't know what you need until you know what you have (or don't have!). Go through each others household goods (i.e. kitchen items, bathroom items, bedroom items, etc.) and see what you would like to keep and what you want to throw away, donate, or sell. Now is a great time to get rid of the dishes you've been using since collage, or to ditch the pans that have seen better days. And as you go through your belongings, you'll also realize what you use a lot of and what you don't use a lot of. Let that guide you as you create your registry. Your sister might be a big baker and have cabinets full of cookie sheets, mixers, and cake pans, but maybe you're not - so don't fill your house with things you won't use. Your registry is a great way to upgrade your household goods and appliances. Just because you went to the store and scanned it doesn't mean it needs to stay on your list. Maybe you get home an realize that you don't want a new coffee maker because yours is just fine and you don't make coffee at home very much anyways. You can access your registry list online and make edits. It's always good to keep checking in on your list to see how things are going. If everything has been purchased, you'll want to add some more things to the list so that your guests have options of what to gift you. Also, if you register between seasons, you might want to take a look at the new inventory that is rolling out to see if you want to make any changes. Consider registering at more than one store so that you can give your guests a variety of places, as well as price points, to choose from. I typically recommend no more than 3 traditional registry lists to my clients. But, websites like Zola.com can help you manage all your different lists, and you can add gifts from any website, even from independent sellers on Etsy.com. Remember to register for a variety of different price points so that you can give your guests options. While websites like Zola.com are helpful, you still want to create a record of your wedding registry with storefronts like Crate & Barrel, PotteryBarn, Belk, Bed Bath & Beyond, etc. After your wedding day, stores like this will offer couples a discount so that they can fill their home with anything they didn't get off their registry. That's right - a discount! This is why it's important to register at places where you like to shop. There are traditional places to register, such as Crate & Barrel and PotteryBarn, or William Sonoma and Sur La Table, or Target and Bed Bath & Beyond. Then there are less traditional places to register, such as Amazon.com or Best Buy. There really isn't a right or wrong when it comes to choosing what stores to register, because each registry is going to reflect the couple! So maybe you need a new TV - register for it. Maybe you want a dining room table - register for it. Maybe you need new curtains - register for it. Your guests will want to help you fill your home, so register for the things that you need and want at the places where you plan to shop. The worst that happens is no one purchases it, and you go back afterwards and purchase with your discount and/or gift cards. A lot of couples deal with space issues when they first get married. You might be living in an apartment or condo with a small kitchen. So where do you put all your new kitchen stuff?! Well, consider that when you're registering. I'm not suggesting you register for less items because you have less space, but keep in mind the constraints of your living situation. Don't go for the big bulky appliance that will take up all your counter space and cabinet space if you don't have the room for it. Consider registering for gift cards to your favorite stores if you have space concerns so that you can purchase the items you need at a later date, once space isn't a concern anymore. It can be helpful to ask friends for their help with registering, or to look at sample registry lists, with the most popular registry items. But only and your Fiance know what you need and know what will fit your lifestyle! So don't rely on others more than your gut instinct. You might need 12 place settings because you come from a large family and plan on entertaining a lot, where as your best friend might need just 6 or 8 because she has a small family and doesn't plan on entertaining much. If you don't cook a lot and don't plan on learning, then don't go crazy registering for all the little cooking tools and utensils. Get what you need, and call it a day. 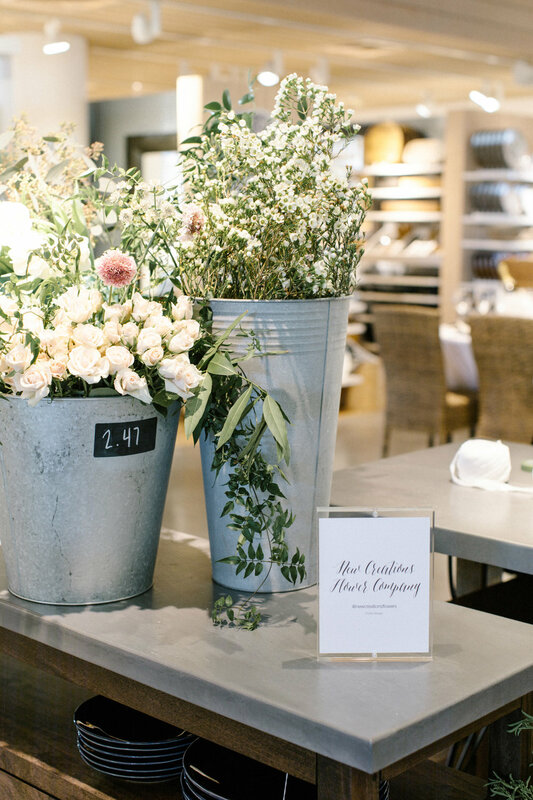 In February, The Graceful Host had the opportunity to partner with Crate & Barrel to host a private event for engaged couples. If you haven't had the chance to attend one of Crate & Barrel's Private Registry Events, I encourage you to go! They host them regularly on Sunday mornings, before the store is open to the public. The event we hosted was considered Private Registry Event Plus (PRE+). 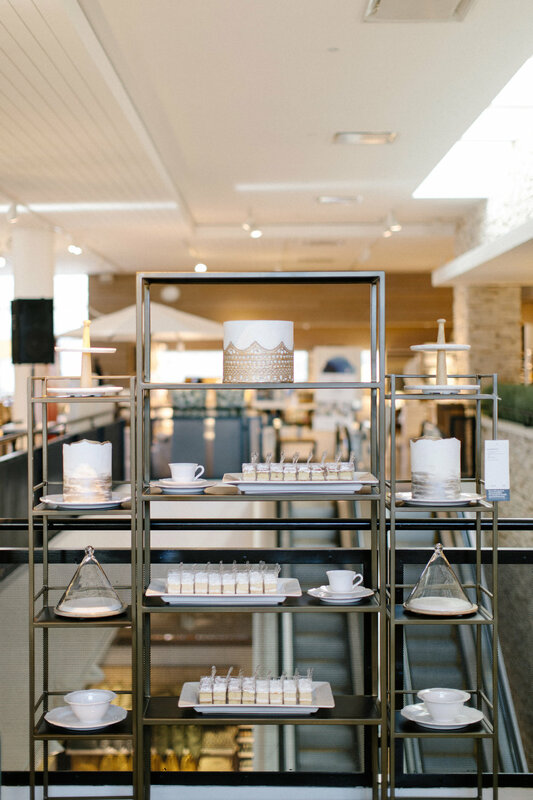 The Plus events are different from the regular Private Registry Events because we brought in local vendors for an interactive experience while couples had the chance to roam the store and create their wedding registry. In addition to some amazing giveaways and door prizes, we had delicious food and beverages for couples to enjoy, free cake samples and cake decorating demonstration, live music, a calligrapher creating custom monograms for couples, a photo booth, and a florist doing bouquet and boutonniere demonstrations. It was quite a party! And it was all captured by photographer Allison Kuhn and videographer Brian Bunn. Along with all the interactive vendor stations, I created a sample styled tablescape using all Crate & Barrel products. Who wants to throw a fiesta?! There is no better party theme - for gatherings both big and small - than a Cinco de Mayo theme. All the vibrant colors, the energy of the holiday, and of course, the food. Tacos, anyone? Oh, and margaritas! Enough said, am I right?! My sweet little boy, Ryan, recently turned one. (I can't believe I typed that! We have a one year old - Ekk!) So to celebrate such a big milestone, I decided to go with a fiesta party for his birthday. Pulling all the details together was so much fun! 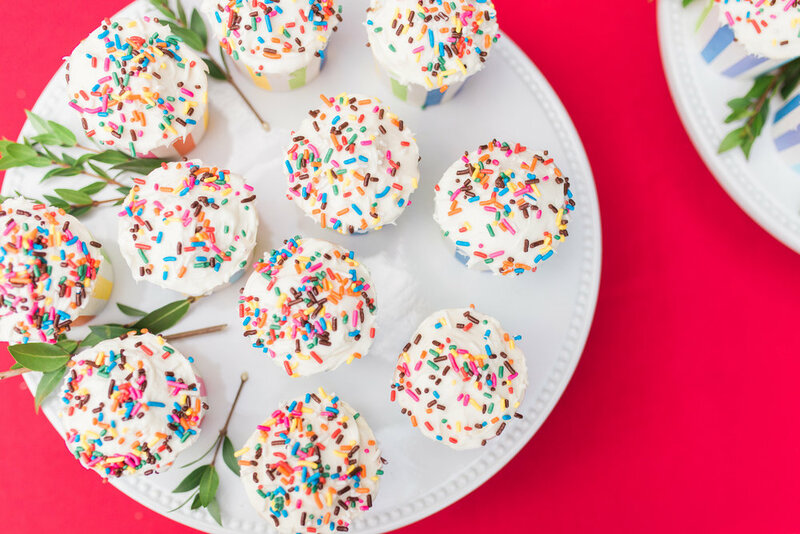 I'm sharing some of our party details so that you can also throw a fabulous fiesta birthday party - or a "just because" fiesta for Cinco de Mayo on Friday! Loved our invitations from Minted.com! They were beyond perfect. Since all our family members live out of state (and not necessarily in driving range), I sent the invitations out 2 months in advance so that everyone both near and far would have time to mark their calendars and make arrangements, if they wanted to attend. I recommend sending invitations to your guests 6 to 8 weeks in advance for parties with primarily out of town guests, and 4 to 6 weeks for parties with guests mostly located in town. I'm a big fan of snail mail, so I went with a paper invitation. 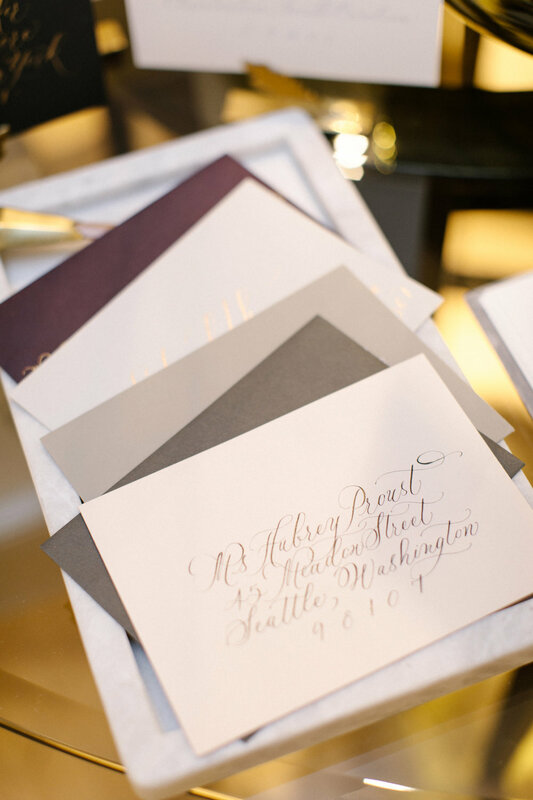 Minted is my favorite for purchasing invitations online. And you can always go the custom route and use a local stationer or Etsy shop vendor. But, evites are perfectly fine for party invitations, too! Some of my favorite places for electronic invitations are Minted, Paperless Post, eVite, and Punch Bowl. I was completely obsessed with the cake and cupcakes Craft Cakes CLT created for the party! She executed my vision to the T! And bonus, y'all - they taste just as good as they look! Oh, and those cookies. Holy moly. Talk about delicious! Andrea with OneChic Cookie created these yummy and beautiful cookies. There were none left by the end of the party! The adorable cake topper is a banner from Etsy shop, Ay Mujer. I seriously love a good margarita. So, I had to make sure we had plenty of tasty marg's for our guests. I know it's a childs birthday party, but let's face it - how many friends does a one year old have?! These early birthday celebrations are more for the parents, so don't forget to include adult beverages in addition to child friendly options. Keep scrolling to the end of this post where I'm sharing my tried and true margarita recipe! When you're planning a party, think carefully about where you place food and drinks. Your guests will tend to gravitate towards the bar and the food. So for a casual party, like this, I decided to put chips and salsa on each table so that guests had something to munch on while sitting and chatting with each other. I didn't want everyone to feel like they had to stand and eat because tacos aren't exactly a one handed food. 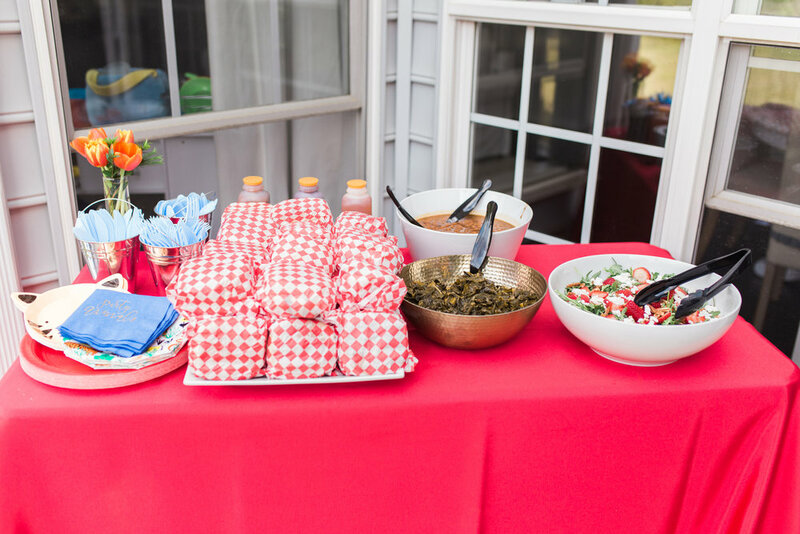 Don't feel like you need to keep the food located in one place - spread it out amongst the party area. It's no lie that I'm a all about the details! So when planning for this party, there was no way that I would cut corners when it came to the details. Believe it or not, this was very easy to pull together thanks to a fiesta Party Kit. Serapes, pinatas, paper banners, colorful plates and napkins - everything you need to throw a fabulous fiesta is included in this Party Kit! By the way, aren't these mini pinata's a trip? I'm obsessed! I went to good ol' Home Depot for the cactus' and succulents, and wrapped them in tissue paper. It was an easy and inexpensive way to add color to the table and stick with my fiesta theme. We gave the succulents and cactus' away to our family and friends as parting gifts, if they wanted to take them. But we did keep one cactus for ourselves as a little memory of Ryan's first birthday party, and hope to incorporate it to our garden one day so that we can tend to it together once he's older! I sprayed cans gold to hold the "viva fiesta" paper flags. Cocktail napkins are always an easy detail that gets a lot of attention. These hilarious napkins can be found in my Etsy shop. I had way too much fun planning the details of this party - can you tell?! 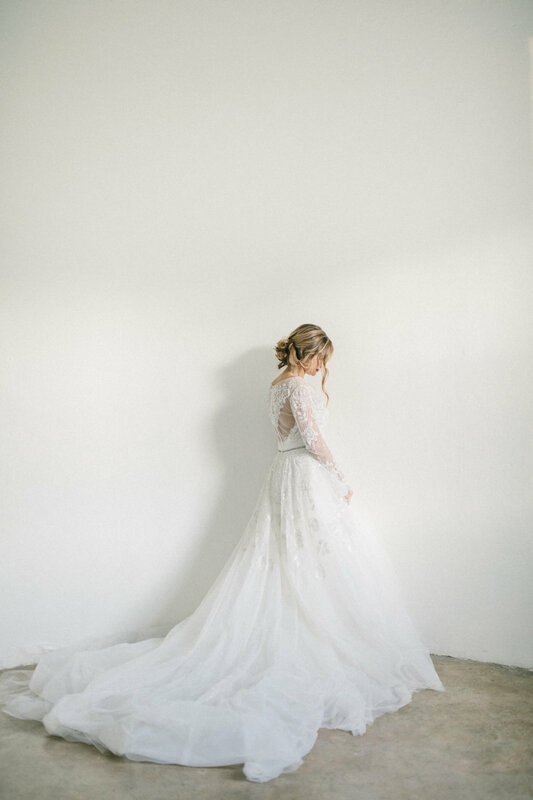 So grateful to Paige Winn Photography for capturing all the details for me so that I didn't have to have my phone on me at all during the party! Okay, so now for the good stuff - the margaritas! This is the recipe I used for the party, and it's my overall go to for a refreshing cocktail that is easy to make. Happy Cinco de Mayo, y'all! Everyone has asked themselves the question: "What would I do if I had endless amounts of money??" You probably thought about little luxuries to splurge on like a personal chef to cook all your meals, or a housekeeper that cleans every day. While I wouldn't say no to either of those things, I love the idea of having fresh flowers in my house all the time. It just makes a home feel like a home - and a bit fancy! But, we don't need to wait to win the lottery in order to have beautiful flower arrangements in our home on a regular basis. Anyone can create a flower arrangement for under $30 - even with grocery store flowers from Trader Joe's! I'll show you how. Trader Joe's always has the best flowers, so it's my go-to for fresh blooms. But the farmer's market is also an amazing place to find gorgeous flower from local growers. So, hunt for the best place in town. 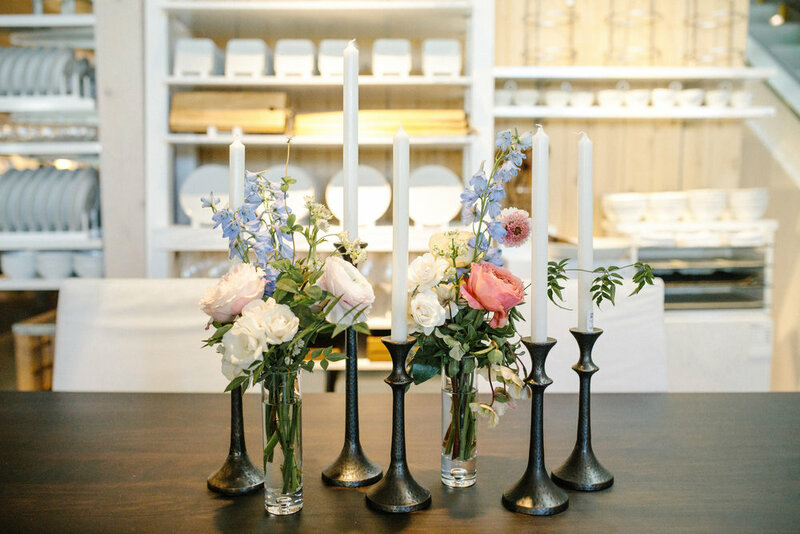 Know what vase you're planning to use before you purchase flowers. That way you know you will have enough to work with - or on the flip side, not have a whole bunch of left overs. My floral style tends to be more organic and textured. I was looking for flowers with natural lines, and tulips are perfect for that! Hyacinth was my go to for a little color contrast and texture. Once you purchase your flowers, you'll need to process them them. 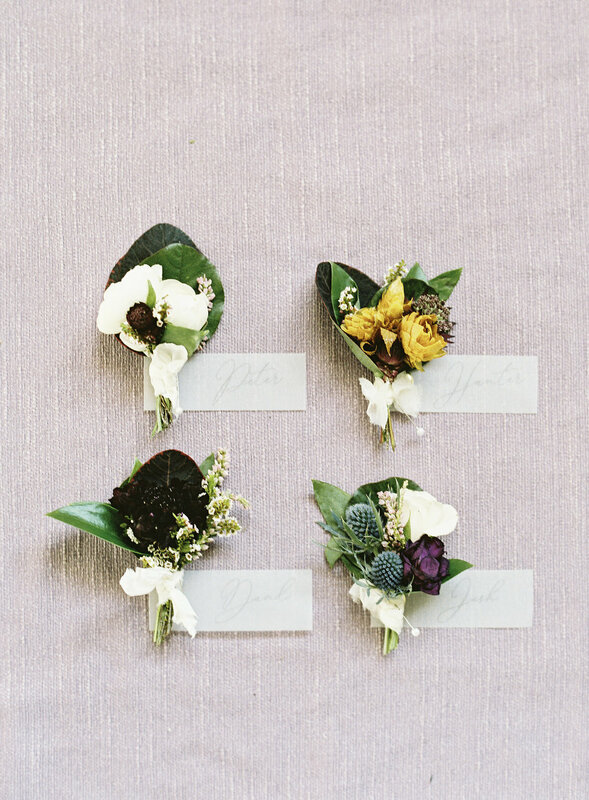 This basically means that you will want to prep the flowers for being arranged. Be sure to stick the flowers in water after you get home - especially if you don't plan on arranging them right away. You'll want to cut each stem on an angle. This helps the extend the life of the flower because it can drink water better. You'll also want to remove any leaves and stems that might go into the water. Not only will this also help extend the life of your arrangement, but it'll create more space in the vase for your stems - which you will need! Put some water in the vase before you begin, and don't forget the flower food. I like to start with some greenery and the larger blooms first, adding in just a few pieces at a time to create a base. Next, you will layer in the other blooms and start to create your shape. You can take stems out after you put them in! This is your arrangement, so edit as you go until you're happy with the look. Depending on where you plan to display your masterpiece, you can either make a one-sided bouquet or one that can be viewed from all sides. Mine is going on my kitchen table, so I made an arrangement that can be viewed from any angle. And as you can see I did this on my kitchen counter, so you don't need a fancy work space or tools. Just a good pair of scissors! All in all this arrangement took me roughly 30 to 40 minutes to create, from the start of processing the flowers to filling up the vase with water after my last edit. It was the perfect creative project to do during naptime! And here is my final arrangement! Oh, and in case you were wondering, this floral arrangement is cat approved! There is no doubt we live in a digital age. And while that little fact can bring on it's own issues, it's also proven to be helpful in the wedding world. Don't get me wrong - paper invitations and RSVPs are considered proper etiquette for weddings. But wedding websites are rising in popularity - and necessity! With most weddings being a destination for guests, a website is an important piece of the puzzle to ensure wedding information is properly communicated and in some cases expanded upon. Save the dates and wedding invitations are for informing your guests about the time and place of your celebration. You should include additional cards with your invitation suite for other information, such as an accommodation card or direction card. Or you could just simplify it and include an additional card with your wedding website, and let the website guide your guests to all the additional information not communicated with your invitation that they'll need about your wedding weekend, such as dress code, transportation, and registry information. Wedding websites should be something each couple creates for their wedding weekend. But how do you do it?! We create a complimentary custom wedding website for each of our couples, with a custom URL to go with it. (See the photo above from Angela + Charlie's wedding.) Here are some tips on how to create your wedding website and what all you should include. 1. Do purchase your own domain. It's inexpensive and convenient! Make it something easy your guests can remember, like your names. But don't include this on your actual invitation. It should be printed on an accompanying card, such as an accommodation card. 2. Don't be intimidated about building your own website. There are plenty of websites that offer wedding website templates - Squarespace, Weebly, etc. They're easy to figure out and easy to customize. 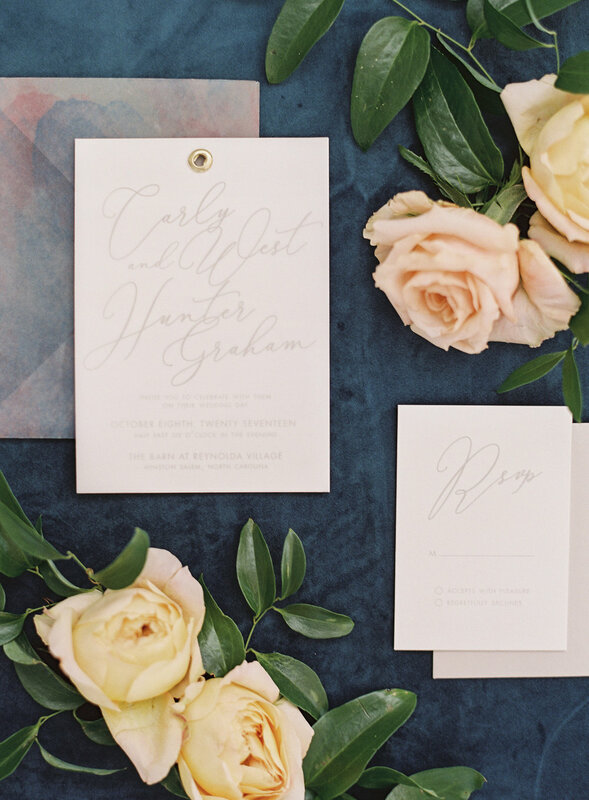 Minted actually offers wedding websites that match your wedding invitation suite. 3. Do let your guests know about the area attractions. Your out of town guests are going to want to experience the city where you're getting married through your eyes. So, create a tab where you share all your favorite restaurants, bars, and sights. Don't forget to include the contact information, like the website, physical address and phone number. 4. Do share your registry information through your website. You should never include registry information in any of your invitations. So add a tab for your wedding registry on your website and link out to your wedding registry lists. 5. Don't feel like you need to share everything on your website. Keep it simple. The most important details to include is the when and where of the wedding, accommodations in the area, transportation, travel information, and registry locations. If you want to include a story about how you met and/or how you got engaged, then feel free... After all it is your wedding website! But don't feel like you need to include every little detail about your relationship and your bridal party on your website. Think of the wedding website as an extension of your invitation where you provide a bit more detail about the wedding weekend. Keep the wedding website focused on the events of the wedding weekend so that you can ensure that guests won't miss any details. 6. Do be mindful of what information you include on your wedding website. 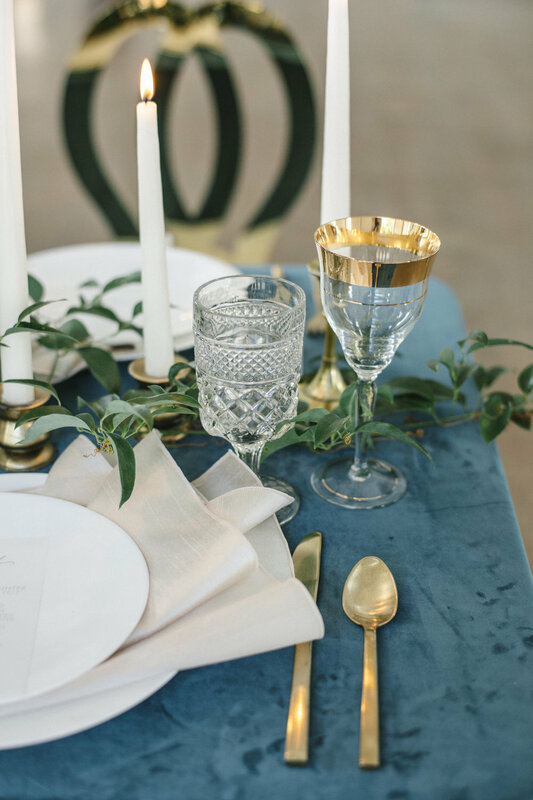 Yes there will be a rehearsal dinner, but if all your guests are not invited then it shouldn't go on your wedding website. Consider the website a place where you communicate information to everyone; not just family and vip guests. So if one of your room blocks is earmarked for family and bridal party only because there is limited availability, don't include it on the website or in your invitation suite. Share that information privately through email or word of mouth. You should include things like a welcome party or farewell brunch, where all your guests are invited to attend. And you can use the website to allow guests to RSVP to these additional events. 7. Don't skip the paper RSVPs. Your website might have an RSVP function available, but please do not go all digital for your wedding RSVPs. I know, I know you don't want to pay for the RSVP card, envelope and postage, and this feels like a great area to save money. Remember, not all your guests will be Internet-savvy. And guests aren't very pro-active - they like things to be easy! So asking them to write their name, check a box, and put a pre-stamped envelope in the mail (which is already in their hand upon opening the invitation) is less steps than telling them to get online, type in a website, and RSVP. So, if you do plan to offer a digital RSVP option through your wedding website, you should still include an RSVP card with your invitation suite and just simply add a sentence at the bottom saying, "You may also reply by way of our wedding website: www.yourweddingwebsite.com." We are quoted on InStyle Weddings today giving some wedding website tips alongside other wedding pros. Check it out for even more tips and how-to advice! With Thanksgiving right around the corner, chances are you'll be setting the table with all the fancy china you would never use for just any ol' Thursday with family and friends. And I bet Google will see a surge in questions like "which side of the plate does the fork go on?". Well have no fear, friends! 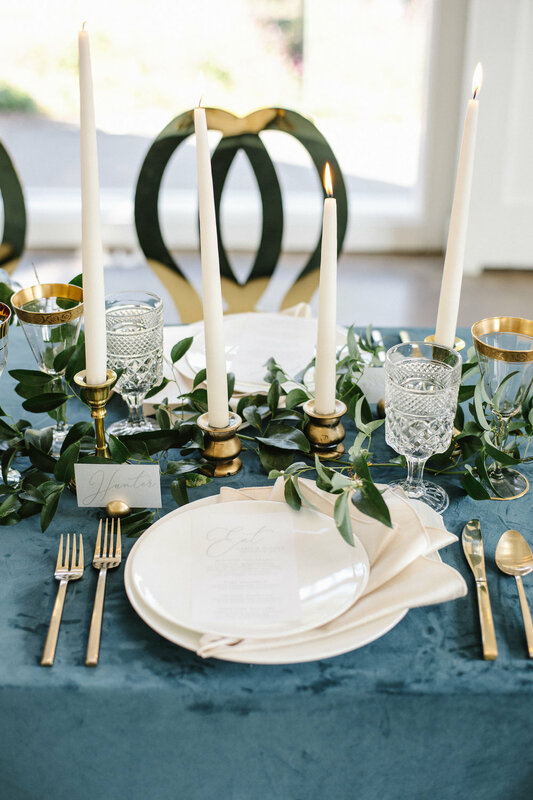 Because we're here to share some place setting etiquette to get you ready for Turkey Day! Happy Thanksgiving! May your tables be beautiful, your bellies be satisfied, and your hearts full! Here's the scenario: the love of your life has just proposed and you said yes! Now you're thrown into the exciting adventure called wedding planning. In the weeks and months following, you'll begin to plan for your special day. You'll quickly start to ask yourself questions like "do we need that...?" or "will anyone even notice if...?". And the answers to your questions may vary. Your wedding planner will help you determine what you need and how to make sure your money is best spent. That's our job, right?! Yesterday, over on Style Me Pretty, I shared a few can't miss details that your guests will definitely notice! These are the details that impact your guest experience - transportation, menu selections, & even the cake! If you're in the middle of wedding planning, or even if you just slipped that gorgeous ring on your finger - you don't want to miss these tips! See the full feature on Style Me Pretty. I saw a few reader comments say things like "so basically thats everything". And to that I say, no not everything. (Trust me, I haven't even mentioned most of what is on a typical checklist for a wedding!) Planning a wedding requires a lot of details and a lot of coordination. Remember: you're planning a large scale event, not a dinner party at your home. You can expect a lot of these important details to be woven together. For example, the venue you select will determine your transportation needs and will also dictate your decor. You should pick your venues wisely. If you're on a budget or planning a wedding when the weather might not be favorable (i.e. it's freezing outside or dark out), then you should consider a venue that is near guest accommodations and would have an option for both ceremony and reception all at the same location. Trust your wedding planner to find solutions for you and to help you prioritize the important details of the day so that you spend your money where it matters! 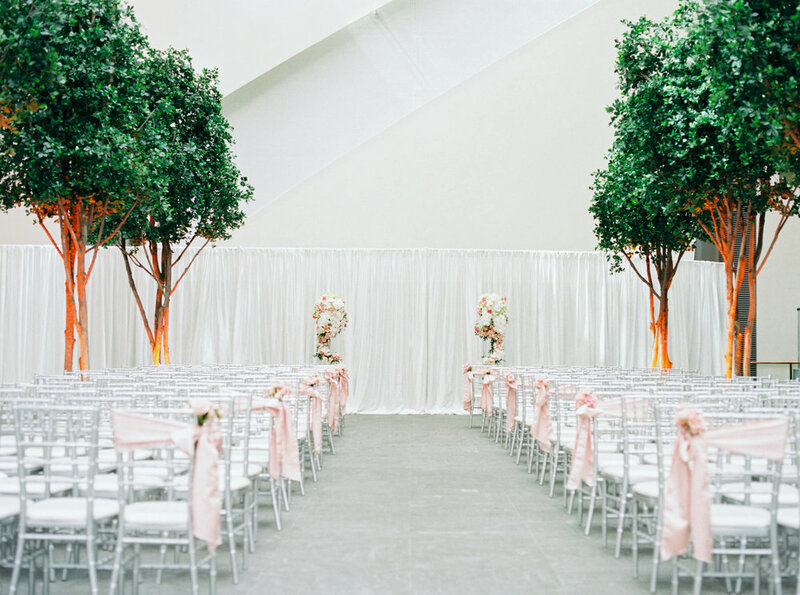 We can't wait for our next wedding at the Mint Museum Uptown celebrating Jana + Jordan! We have been working hard planning a day that is perfectly "them", with custom details that are a reflection of their style and personalities, as they become Mr and Mrs in just a few short weeks. Final preparations are underway, but I wanted to share our inspiration board for this elegant, sophisticated yet simple neutral-colored wedding. We can't wait to share all the details with you! When it comes to wedding registries, there are always questions: What do we need to register for exactly? Where should I register? How do I even start creating a registry? Registries can be confusing and overwhelming, but it shouldn't be! They should be a fun way for you and your future spouse to think about your future lives together - whether you're starting from scratch, or you already live together - and how you'll build your home. Of course there are some "must haves" when putting your registry list together. Things like china, kitchenware, & household goods are always popular - and let's face it, always needed! But how do you craft a wedding registry that you'll love and that reflects your personal style? Some couples get nervous about veering off the path of tradition, but I'm going to share with you 6 non-traditional items that should make you reconsider the road less traveled! Couples invest in professional wedding photography to capture their memories. So it only makes sense that you consider displaying those happy memories proudly once you get your photos back for all who enter your home to see! It's so important to remember to print your memories. Just think about all the butterfly feelings you'll have looking at them each and every day! Photo credit: pictured is Framebridge via Haute Off The Rack. File this under a must have kitchen item! If you haven't discovered the joys of juicing, you're missing out. From fresh squeezed OJ for mimosas with brunch to a healthy serving of veggie/fruit juice for breakfast - the possibilities with this handy kitchen tool is endless. Photo credit: Jack LaLanne electric juicer via Target. You've registered for all the cookware and kitchenware under the sun, right? Well, now it's time to start cooking! An herb garden is a fun project for both you and your spouse to enjoy. I know in our home, we play "how long can we keep this plant alive" often. Not only will it add color, foliage, and fragrance to your home but it will add lots of flavor to your dishes! Photo credit: via House Beautiful - a perfect Ikea hack project! Your friends and family ultimately want to buy you something that will make you happy. Take comfort in the fact that you can't really mess up a wedding registry. Remember that variety is key so that you can offer your guests different price points, and consider shopping at 2-3 stores. Any more than 3 and it gets a bit excessive. There are great websites like Zola that allows you to combine your registry from various shops in one convenient list for guests. But I wouldn't skip registering at each individual store. When it comes to getting the additional money off after your wedding has come and gone, you're going to want to make sure you've registered with that store in order to reap that benefit! So happy shopping, y'all! Valentines day is drawing near - if you didn't already know by the absurd amount of chocolates every where you go! I'll admit, I used to fight my love of the color pink for a long, long time. But I've accepted that I'm a girl who loves the color pink - and it feels great! 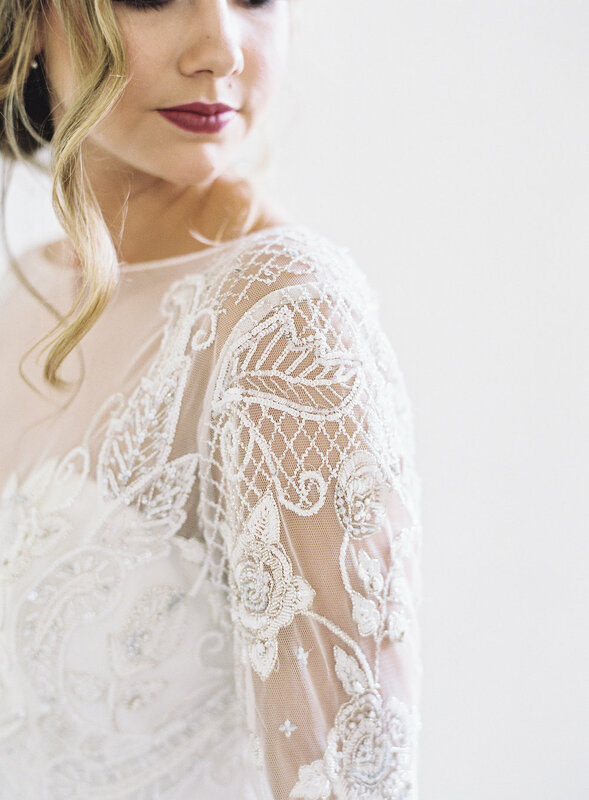 All jokes aside, pink is a really beautiful color to add into your wedding color palette. In fact, it's one of the two Pantone colors of the year! Lets face it, nothing says fairytale love full of floating hearts and romance like a little infusion of pink into your wedding day. It's a versatile color that can easily take center stage in a design, or serve in more of a supporting role letting other colors shine. Here are a few examples of how our sweet brides have embraced the color pink and incorporated it into their wedding day! Let us know what you think! 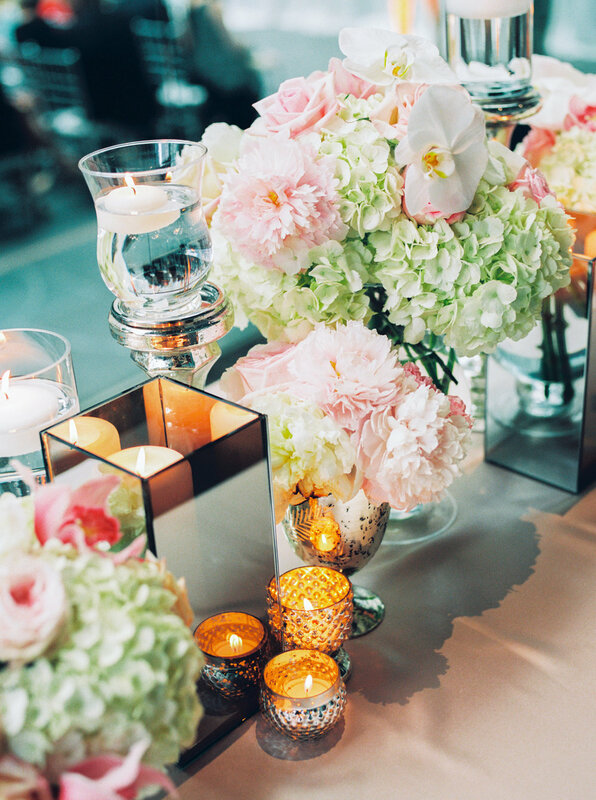 How will you incorporate pink tones into your color palette? Huge thanks to The Venue Report for using some of my planning tips + advice in their recent article about entertaining! From words of wisdom & helpful tips to the perfect party play list & a few of my go-to recipes, I'm talking about ways you can make your life easier as you prepare to be the hostess with the mostest this fall and into the holiday season! Check out the full article, here.